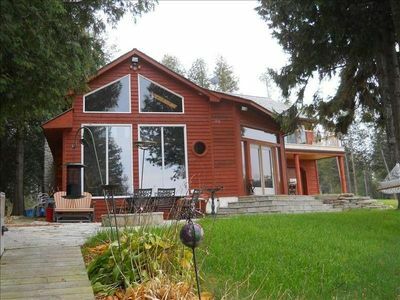 This cozy, 3-bedroom, 2-bathroom vacation rental house in Ephraim is nestled in the heartland of Door County. 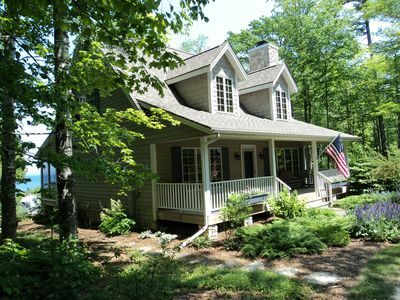 The cottage-style house offers spectacular views of Eagle Harbor, the marina, and the Ephraim Yacht Club from both the front porch and the large windows in the sun room! 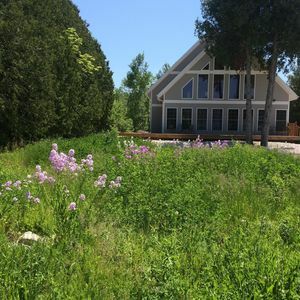 Up to 8 guests can spend days exploring everything Door County has to offer, and evenings relaxing on the back patio and barbequing delicious meats and veggies on the gas grill. Wake up each morning and sip your coffee as you watch the sailboats in tranquillity. 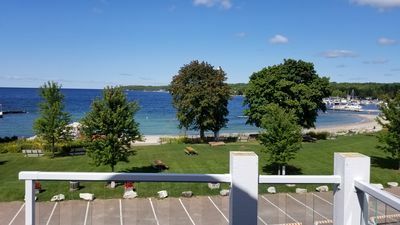 You won't be disappointed with the views during your stay! 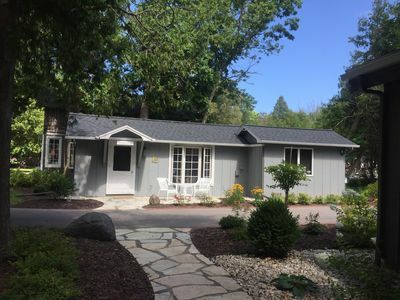 After a day on the lake or exploring all Door County has to offer, kick back and relax in the living room or sun room and watch your favorite shows on the flat-screen cable TV. This is also the perfect time of day to use the wireless internet access to browse your favorite websites. There's no need to leave your home-away-from-home when hunger strikes. 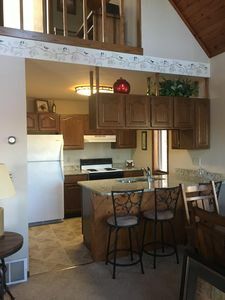 The fully equipped kitchen has everything you need to make delicious meals for your whole travel group! 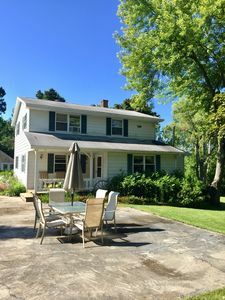 For an al fresco cooking and dining experience, head out to the back patio and use the gas grill to prepare a barbecue meal for your travel group! 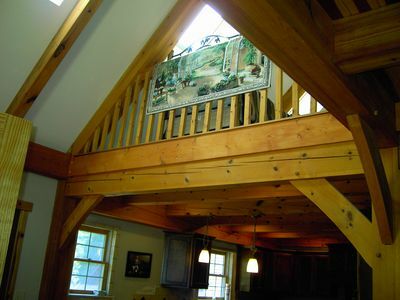 You're sure to sleep well in any of the comfortable beds in the house. The master bedroom features a king-sized bed, while the second bedroom boasts a comfy queen bed. 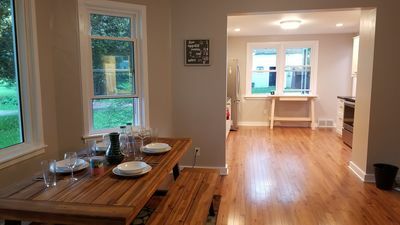 Two guests will sleep comfortably in the third bedroom, which has a pair of twin beds, and additional guests in your group can sleep on either of the queen-sized sleeper sofas in the sun room. 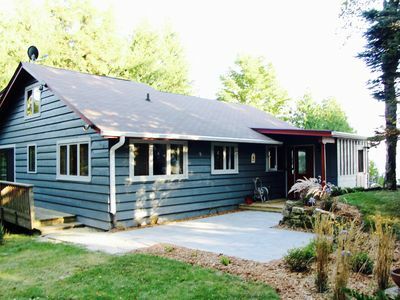 The cottage is nestled across the street from beautiful Lake Michigan and the bluffs of Penninsula State Park. 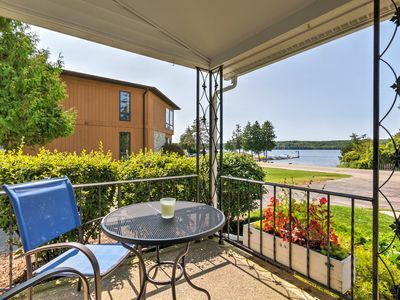 Walk across the street to spend sunny days at the beach, or rent a boat for a day of fun on the lake. 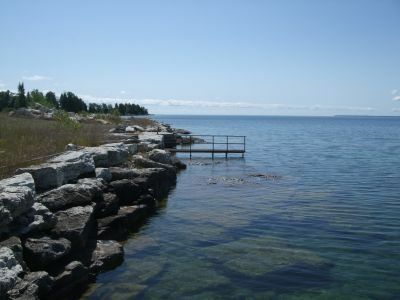 Door County is noted for its diverse music, art galleries, and theaters. Rain or shine, there is always something to do! 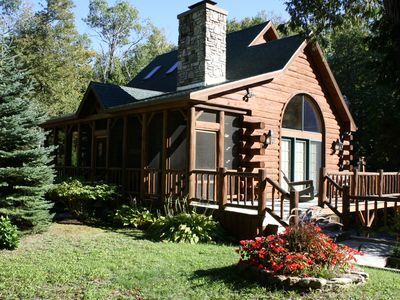 You'll enjoy plenty of swimming, boating, fishing, biking, golfing, hiking, eating or just relaxing. 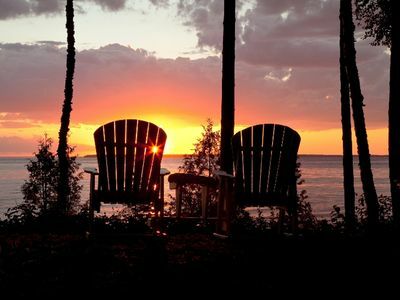 There is never enough time to fulfill everything you would like to do while visiting Door County. You'll find yourself wanting to come back again and again! If you get tired of cooking in the fully equipped kitchen, take a short walk to dine at any of the fabulous restaurants and get dessert at Wilson's ice cream parlor. You won't want to miss out on the Post Office Restaurant, famously noted for the oldest and most renowned fish boil. The Anderson Dock Museum and Art Gallery is a must see! It's noted for its great fishing right off the dock, so don't forget your fishing pole! 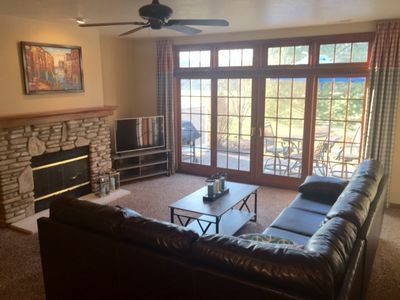 - Amenities include a fully equipped kitchen, deck with lounge chairs and patio table, gas grill, flat-screen TV with DVD player, free WiFi, central heating, electric fireplace, parking, and much more! 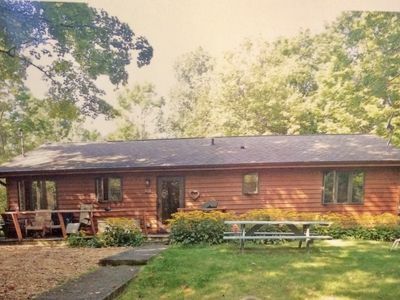 - Fantastic Ephraim location in the heart of Door County! 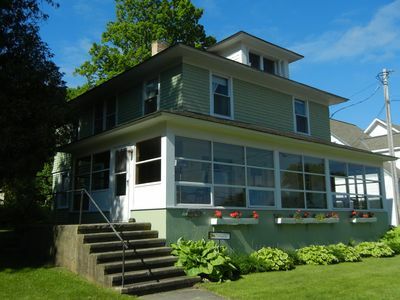 The house is across the street from Eagle Harbor and only a short walk to numerous restaurants and shops in Ephraim! 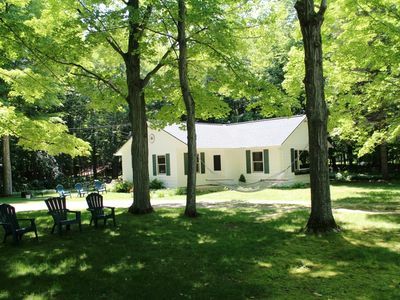 Experience True Door County Charm! 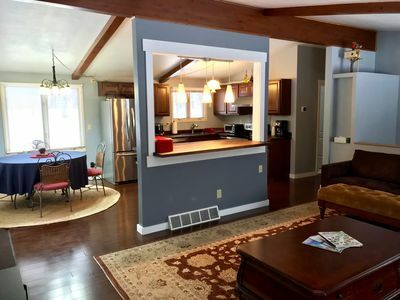 Adorable Cottage in the heart of Ephraim! 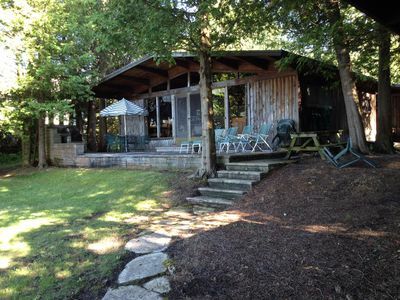 WATERFRONT COTTAGE ROW CONDO IN THE HEART OF FISH CREEK! SUNSETS! PET FRIENDLY! 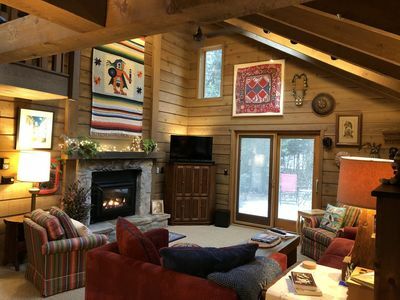 Cozy Cottage in the Woods: Fish Creek - Perfect location! Sand, Sand, and More Sand on Lake Michigan!